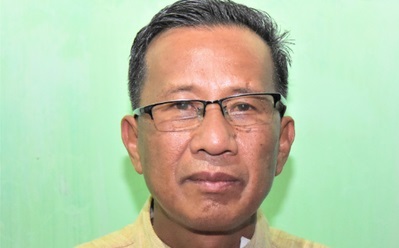 Congress candidate for the Inner Manipur parliamentary constituency, O Nabakishore on Monday termed the ruling BJP governments both in the Centre as well in the State as intolerant, which cannot accept any form of criticism. He was referring to the jailing of journalist Kishorechandra Wangkhem while adding that the barbaric act of the saffron brigade is utterly shameful. Nabakishore was addressing a mammoth election rally at Mekola ground in Imphal West on Monday. Continuing his tirade against the BJP, he said it is for the first time in history that NSA was slapped against a journalist for expressing discontent against the government. Former chief minister, O Ibobi while speaking at the campaign rally said the contributions and selfless services by someone like Nabakishore cannot remain hidden. The people will ultimately come to know of it without any publicity, while accusing the BJP of indulging in cheap publicity and propaganda. Coming down heavily on the BJP and RSS for its idea of ‘one nation, one religion’, Ibobi observed that Muslim women may even be forced to apply ‘sindur’ if the BJP returns to power after the Lok Sabha election. The state Congress president, Gaikhangam who also address the gathering stated that the ongoing 17th Lok Sabha election should not be taken lightly as it will decide the fate of the people of the country in general and Manipur in particular.